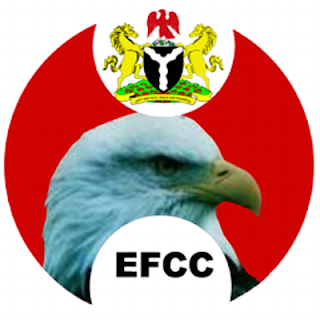 A driver with the Economic and Financial Crimes Commission EFCC, Nasiru Isa has been arrested by operatives of the agency for offences bordering on criminal breach of trust, attempted theft, conspiracy and impersonation. The statement stated that the property was also linked to the wife of the former CDS, adding that investigations showed that the suspects moved about 12 bags believed to contain items linked to money laundering offence into the property. It said August 30 EFCC operatives as part of their monitoring activities on the sealed property, had gone to site to execute a search. However, members of the syndicate took to their heels on sighting the operatives of the anti-graft agency. He said a carpenter, Yakubu Muhammad, who was hired by the syndicate, was left behind and was subsequently arrested by the operatives. The carpenter, said to be cooperating with operatives, confessed that he was not in the know of the illicit activity, as he was only brought in by the syndicate to assist with the use of his carpentry tools to break into the property. Investigations is said to have revealed that one of those in the know about the goods was the brain behind the scheme to steal them. Uwujaren said in perpetrating the crime, Dauda had posed to be a senior staff with the EFCC, while Jibrin posed as an intelligence police officer in the office of the Inspector General of Police.